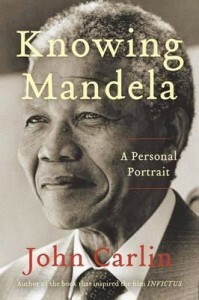 This book begins with Mandela‘s release from prison in 1990, and ends with the last time John Carlin saw Mandela face-to-face in 2009. Spanning decades, and chronicling both personal and national memories, Carlin‘s tribute to Mandela is a fitting retrospective on a life well lived and its enduring legacy. John began covering South African politics while serving as the London Independent’s Bureau Chief in South Africa in 1989, and formed a relationship with Nelson Mandela in the decades since. Mandela has called Carlin‘s journalism ‘courageous’ and ‘absolutely inspiring’. Now, Carlin reflects back on the man he has studied and admired for much of his career. 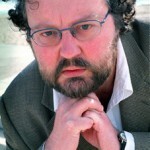 John Carlin grew up in Argentina and in the UK and spent 1989-95 in South Africa as the Independent‘s correspondent there. He has also lived in Nicaragua, Mexico and Washington, writing for The Times, the Observer, the Sunday Times, the New York Times, among other papers, and working for the BBC. His previous book, Playing the Enemy, was the basis of the film Invictus, directed by Clint Eastwood, which earned Oscar nominations for both Matt Damon and Morgan Freeman.